Australia have overcome their wobbles against swing bowling and are ready to prove it if called in to bat on the first morning of the Boxing Day Test against India, captain Michael Clarke said. The Melbourne Cricket Ground's drop-in pitch has traditionally been batsman-friendly but groundsman Cameron Hodgkins has predicted a hairy morning session for the team batting first, investing extra importance on the coin toss. Clarke would be mindful of last year's horror Boxing Day when former captain Ricky Ponting lost the toss to England counterpart Andrew Strauss and saw his team bundled out for 98 when sent into bat on an overcast morning. England's openers prospered as the pitch flattened in the afternoon sun and reached 157 without loss, setting up victory within four days to retain the Ashes on Australian soil for the first time in a quarter of a century. Clarke made a good fist, if an unconvincing one, of insisting that he would ponder the conditions if they won the toss on Monday, when sporadic showers are forecast. 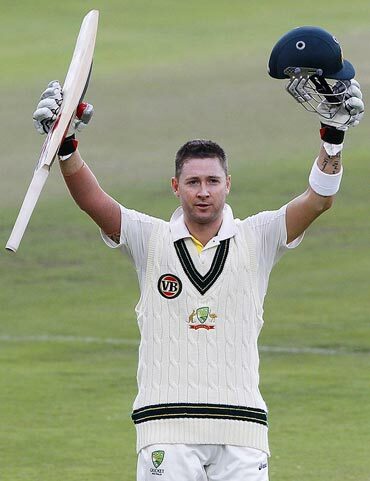 "I think it's important that if we play first, we play our natural game," Clarke said at the MCG, on Saturday. "I think you have the confidence to back your own ability. We've done plenty of work, it's not for lack of training, it's not for looking at the opposition, our preparation has been spot on. "Now it's about getting out there and enjoying every minute of it. "I've no concerns if we bat first on that wicket and there's a bit of movement, I'm confident we're ready for it." 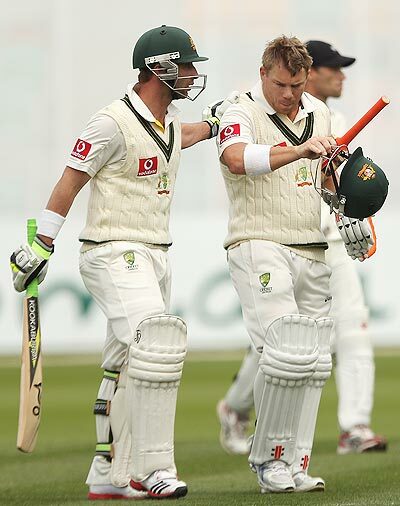 Australia's batsmen have been under fire from local media after being bundled out for 47 in their Cape Town Test against South Africa and collapsing spectacularly when coasting to victory against New Zealand in Hobart. The second Test loss against New Zealand sparked calls of "crisis" in local newspapers and a hastily convened batting boot camp held this week for a number of the offenders in Hobart. Clarke, who will lead Australia onto the famed MCG for the first time as captain, also warned his players not to step over the line of aggression against India following an ill-tempered series marred by allegations of racism four years ago. "I can guarantee you that nobody in the Australian team will cross that and if they do, there'll be punishments from the ICC (International Cricket Council) but also from Cricket Australia," he said. "We'll be doing everything in our power to play some really competitive, tough cricket. But we understand and acknowledge that we won't cross that line."